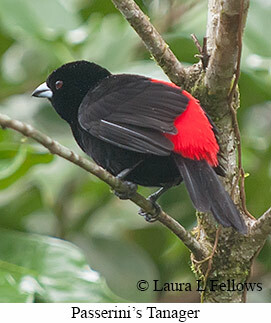 Of the 850+ species of birds recorded in Costa Rica, nearly 800 occur on a regular basis. This great diversity of species reflects the diversity of habitats found in the country. Most Costa Rican avifauna is found in forests. Aquatic species don't vary much across the country. The same is generally true of the 30-50 bird species found in open pastureland and scrub, except in high elevation paramo where some species are found nowhere else. Species composition is different on the Pacific and Caribbean slopes and changes with increasing altitude. That's why the best birding tours visit locales on both slopes and in several altitudinal zones. The highest number of bird species occurs in lowland wet forests, where some 200 breed in any given area and another 100-200 pass through or regularly appear. Lowland dry forests support little more than half the number of species found in lowland wet forests. Some of the best lowland forests are Carara National Park and Corcovado National Park. Some of the best middle elevation sites are at Monteverde Cloud Forest Preserve in the northwest, La Selva Biological Station on the Caribbean slope, and San Gerardo de Dota in a valley of the Talamanca Mountains south of San Jose. Each site has its own special character, and each offers a somewhat different mix of forest birds. Carara is especially notable in featuring a transitional zone that includes both wet and dry forest. Certainly one of the big attractions of Costa Rica birding is the Resplendent Quetzal. This extraordinary trogon with sweeping tail plumes is best seen before breeding season during January and February at Monteverde and throughout the dry season from December-April in the Talamanca Mountains, especially around San Gerardo de Dota, which is most reliable place to see this species. As one moves upslope, the number of species generally declines but the species composition is quite distinct from the lowlands. At higher elevations only 40-50 breeding species occur, while still higher in the paramo less than 25 species occur. A notable high elevation birding locale is the area around Cerro de la Muerte in the Talamanca Mountains. The most popular Costa Rica birding tours generally visit Carara, La Selva, and the Talamanca Mountains. Some tours visit Monteverde as well. Few tours visit Corcovado and the more tropical areas around San Vito and Golfito near the border with Panama because those sites are less publicized and accommodations tend to be more basic. Even so, the south features more tropical forest that attracts a variety of bird species not seen on typical tours. 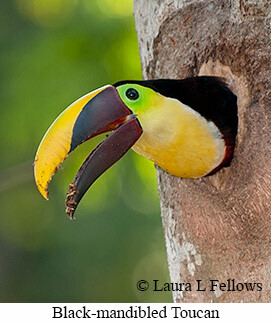 Costa Rica offers numerous opportunities for photographing birds and wildlife. The country is well set up with comfortable ecolodges where our groups stay on each photo tour. Opportunities for bird and nature photography parallel those for birding. The best photography is often in the same places as the best birding, though not always. Some places such as the vast wetland of Palo Verde National Park are good for photography but not especially for birding because mostly common birds are found there. In northern Costa Rica, Carara National Park and La Selva Biological Station support high species diversity and are great for photography as well as birding. Monteverde Cloud Forest Preserve is less visited by birders because the same species can mostly be seen in more convenient places, but trails through the reserve are very good for photography. Unfortunately, the hummingbird feeders at the reserve entrance are in a very shaded area, which makes hummingbird photography less good than many other places. 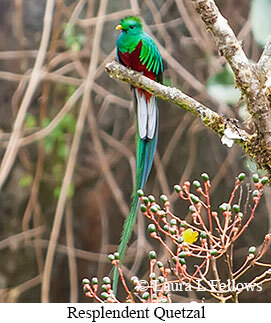 The Talamanca Mountains is the best place to photograph Resplendent Quetzals as they are most common there. Palo Verde National Park is the best place to photograph Jabirus and other wetland birds. Southern Costa Rica's Osa Peninsula offers access to more remote rainforest where monkeys and tropical forest birds can be photographed. However, access to the best places is difficult, so few tours go there. For those wanting to go birding in the American tropics, Costa Rica is for many people the first choice. It's varied topography results in a nice diversity of tropical and subtropical bird species without being totally overwhelming. The country has for a long time been a safe place to visit, and it has very good tourism infrastructure. Pleasant accommodations are available most places a birder might want to visit. The birding is easy, and for those visiting the tropics for the first time, many of the birds are new. There is very good habitat diversity within a fairly small space, so it's possible to see over 300 species in a single week without any excessive driving.